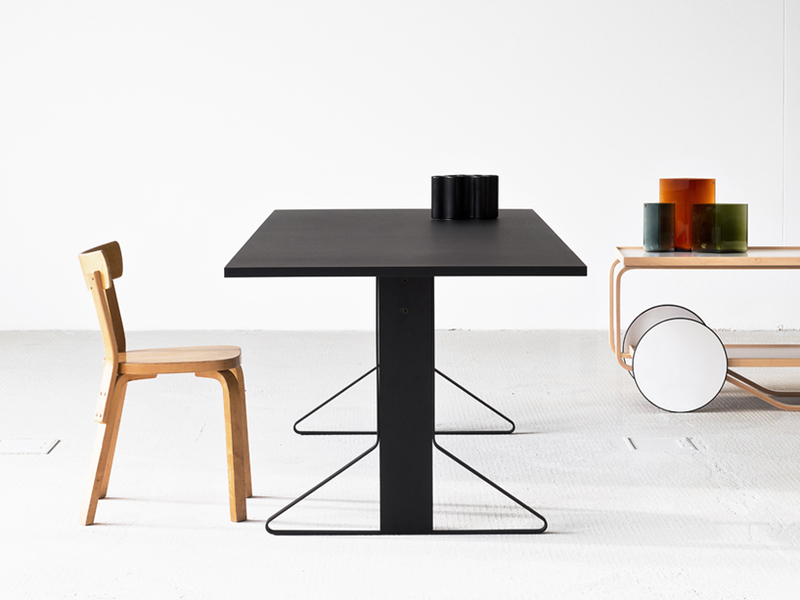 in keeping with the radical spirit of its founders, artek today remains an innovative player in the world of modern design, developing new products at the intersection of design, architecture, and art. 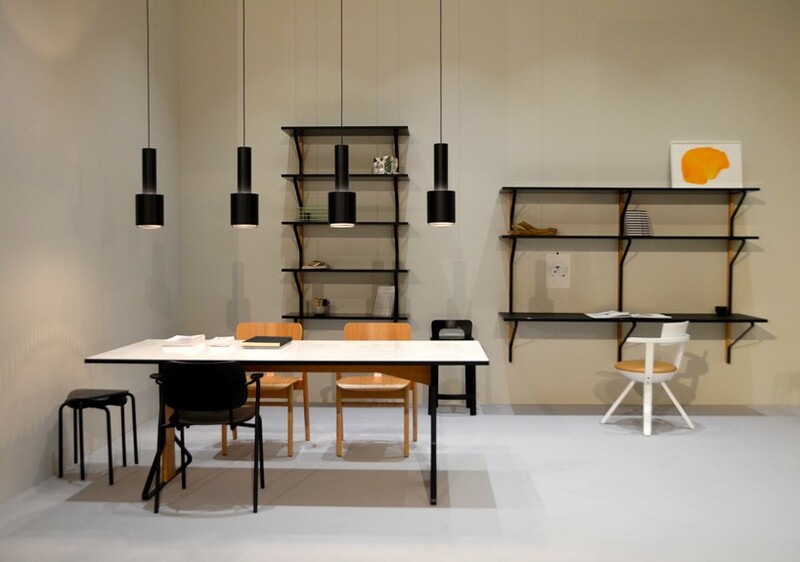 the artek collection consists of furniture, lighting, and accessories designed by finnish masters and leading international designers. 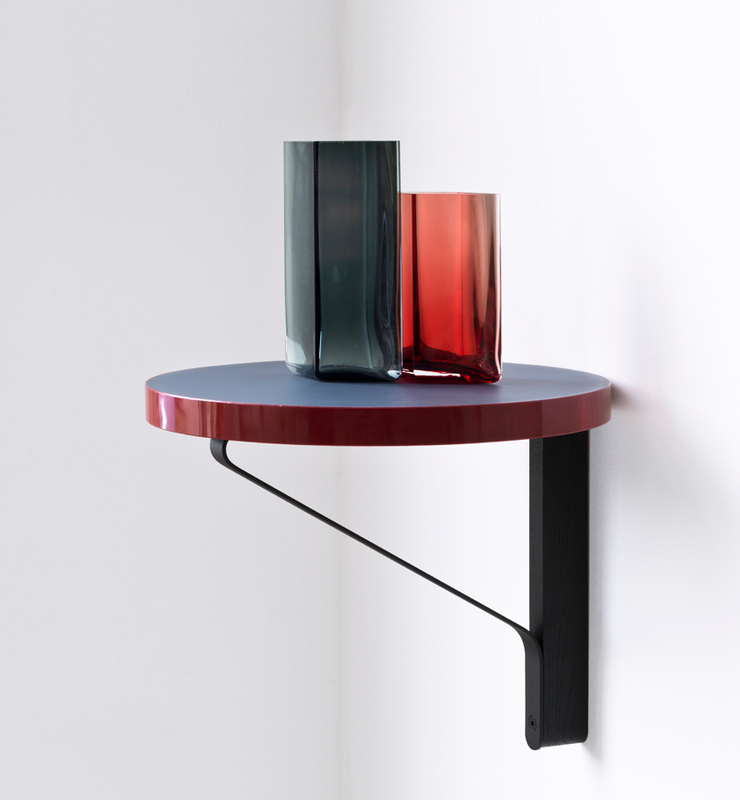 on the occasion of the 2015 stockholm furniture fair, artek presents its first collaboration with ronan & erwan bouroullec in the form of the ‘kaari’ collection. 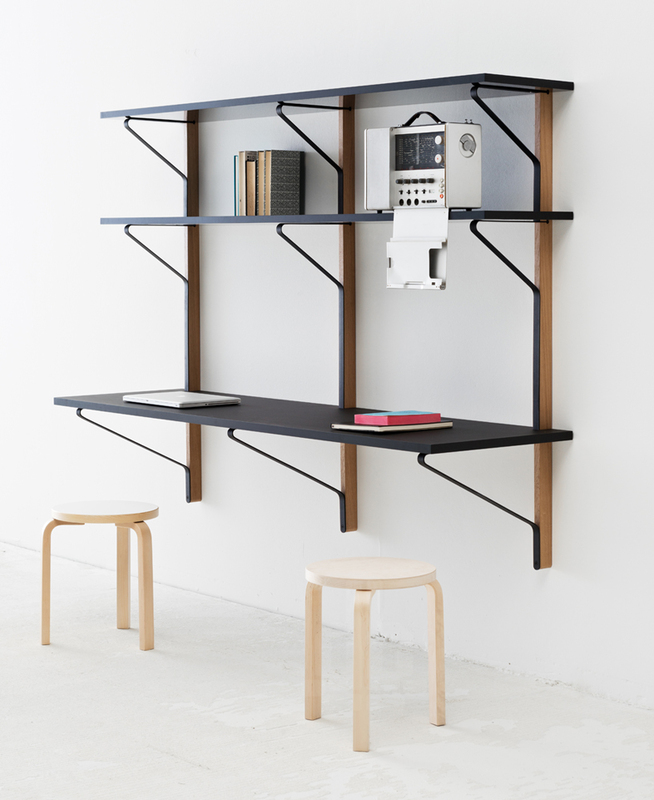 the finnish company who is known for the simplicity of its furniture systems, worked together with the french designers to bring forth a family of pieces that expresses a practicality that is projected through the functionality of the work surfaces, shelving and seating object, and the structural components that comprise it. 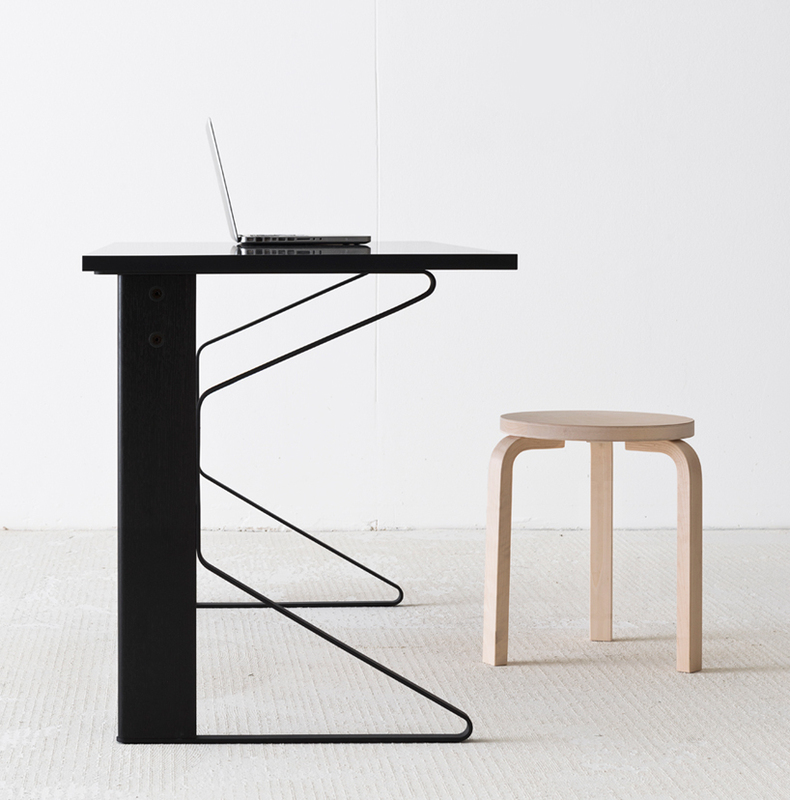 ‘kaari’ (‘arch’ in finnish) extends from the french designers’ desire to create a table network that while being utilitarian, that was also unique in its appearance. 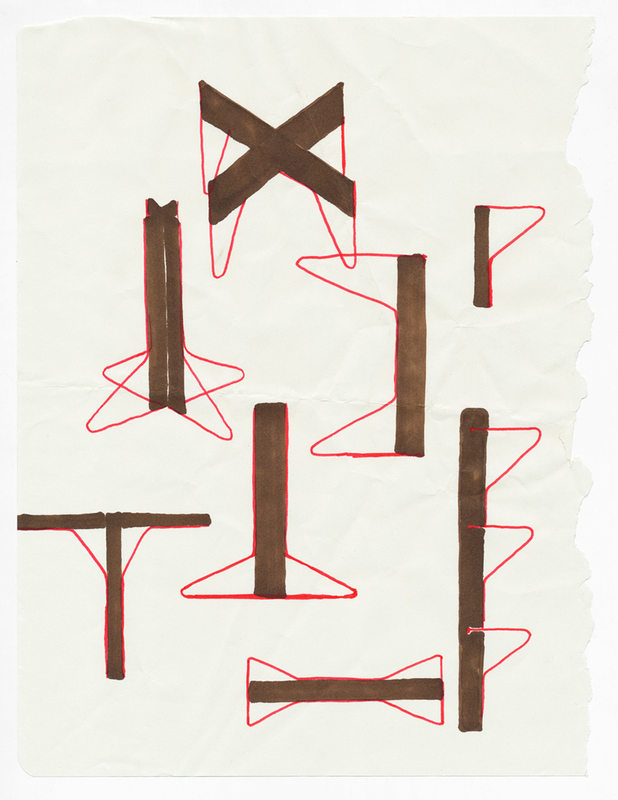 quite a challenge to develop such an object in comparison to the chair which has numerous forms of expression, and which is mobile and has a lot more character. 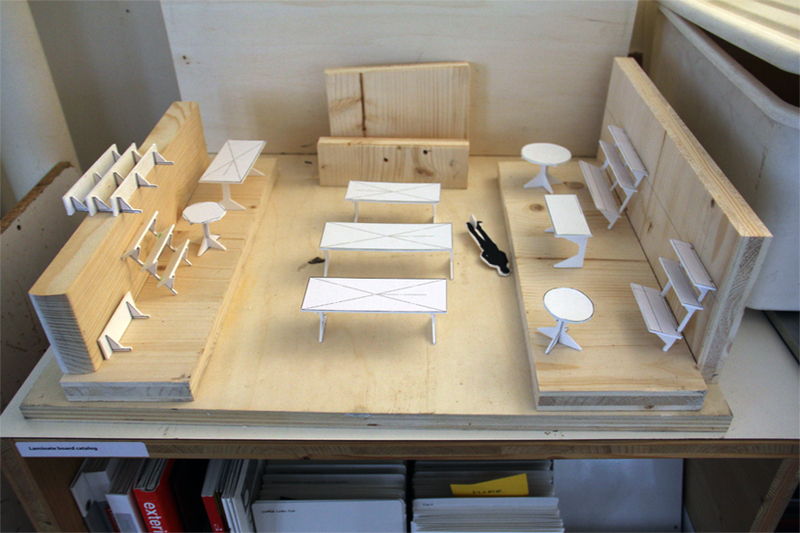 tables in comparison are seen more as architectural objects: static, stable and unmoving. while there are historically many memorable chairs, the same cannot be said for tables. contrary to the chair, a table always serves the same purpose and is composed of a horizontal panel that is positioned at a specific height; and the materials which have been proven suitable for these surfaces has not changed much over the course of the last century. the table itself is seen as serving a social function which is meant to bring people together, while simultaneously keeping a certain distance between them. a fundamental part of the home, the typology of the table has remained relatively untouched, while the chair has seen diverse transformations over time. 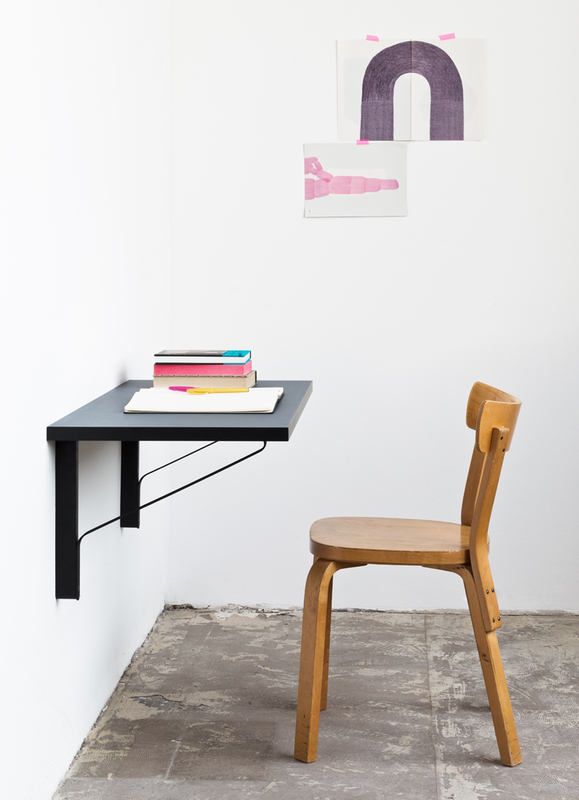 so, given these circumstances, ronan and erwan bouroullec wanted to challenge the design of the table with their system for artek. 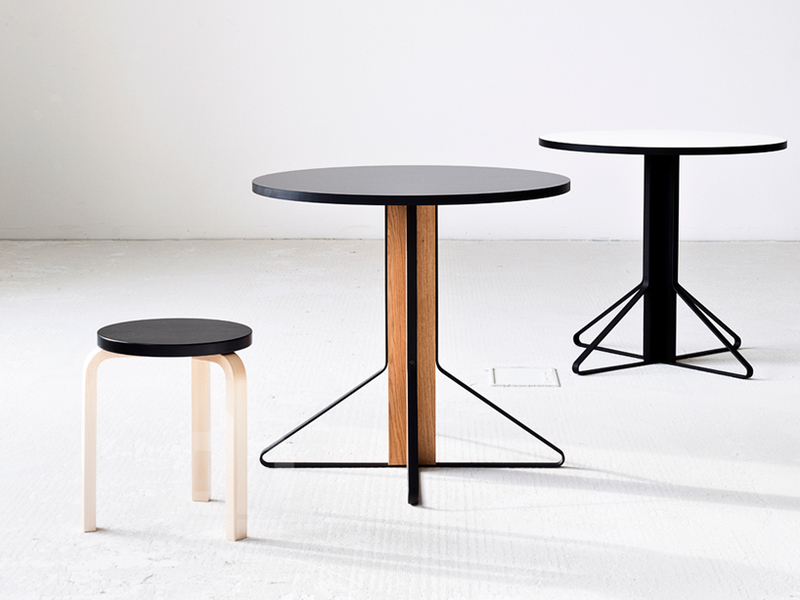 the development of the ‘kaari’ table framework revolves around an innovative leg, or more precisely, a vertical construction that could support a variety of different tops — in this case, round small and large, along with low and high rectangular versions. 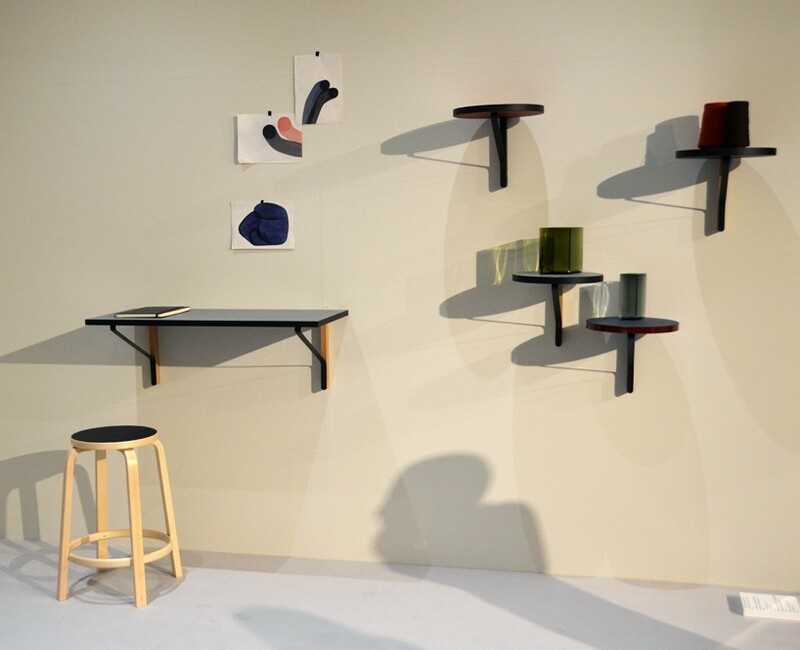 from this exploration and formal evolution, the bouroullecs saw that the same network of components could also be applied to build wall-mounted units such as single shelves, and large shelving arrangements. 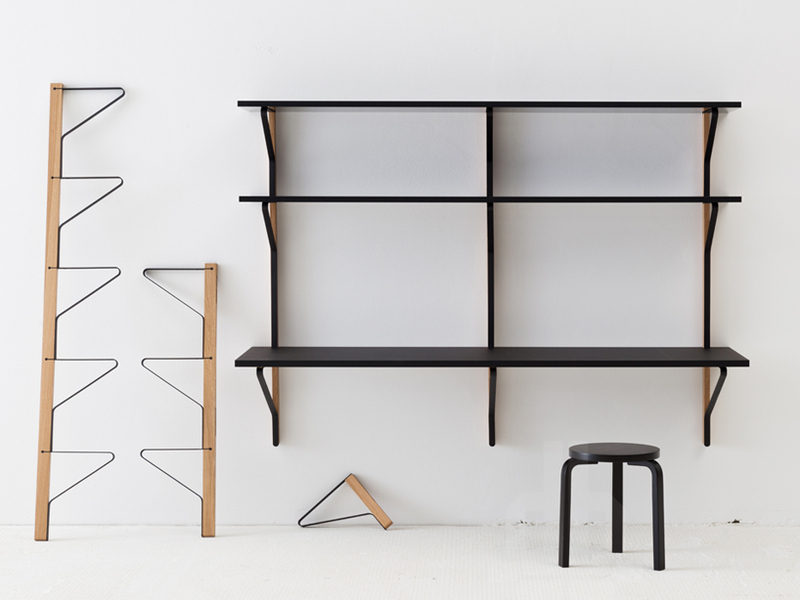 using basic typologies, the principle behind the ‘kaari’ collection is simply that the vertical load is held up by a wooden component. for additional stabilization, a bent steel band is used to provide elegant and diagonal support. 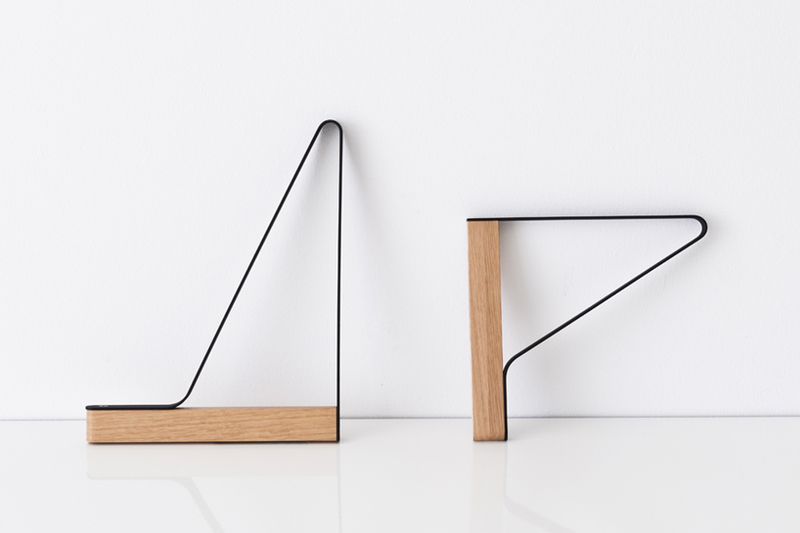 this visual interplay between the solid vertical board, and the metal ribbon, projects a light appearance, while creating a distinct linear silhouette. when multiple tables are organized within the same room together, their contours have a rhythmic effect. conceiving the ‘kaari’ collection for artek over a short period of several months, the bouroullecs wanted to create something that while employing traditional materials and technologies, appears to be completely new — something which was fundamental for them, in keeping in line with and maintaining artek’s heritage. while wood and steel banding are not contemporary mediums, the combination of the two in this instance is refreshing. to further push this notion of being traditional, while presenting a touch of innovation, linoleum and glossy HPL are used for the surfaces of the table tops, absorbing and reflecting light in different ways; sure to develop an aesthetic patina over time. 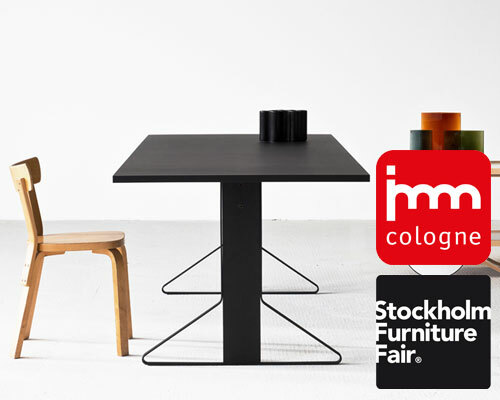 like artek co-founder alvar aalto, and the way in which he utilized the L-leg to support a variety of objects (chairs, containers, tables, stools etc. 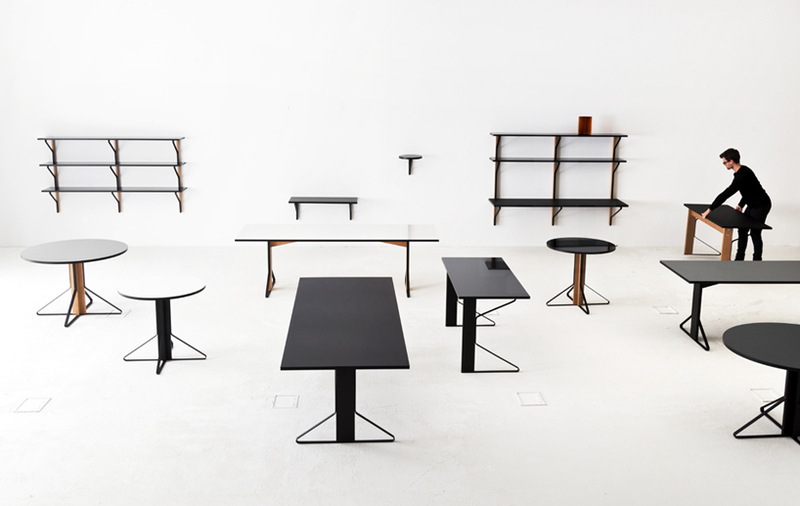 ), the bouroullecs combine solid wood with steel banding to formulate a column base for small round tables, and symmetrical wing-shaped legs for larger rectangular surfaces; with the same principle seen in the wall-mounted tables and shelves. 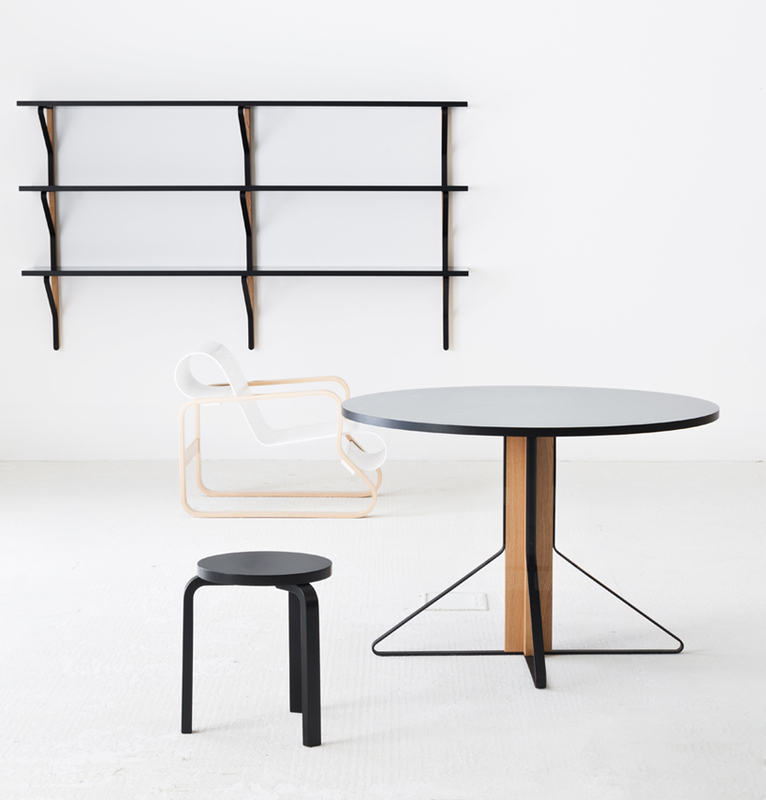 but, while ‘kaari’ has the affinity to speak to the artek tradition, it has an aesthetic of its own, that is at once primitive and contemporary, distinguishing it from the finnish brand’s classic designs. 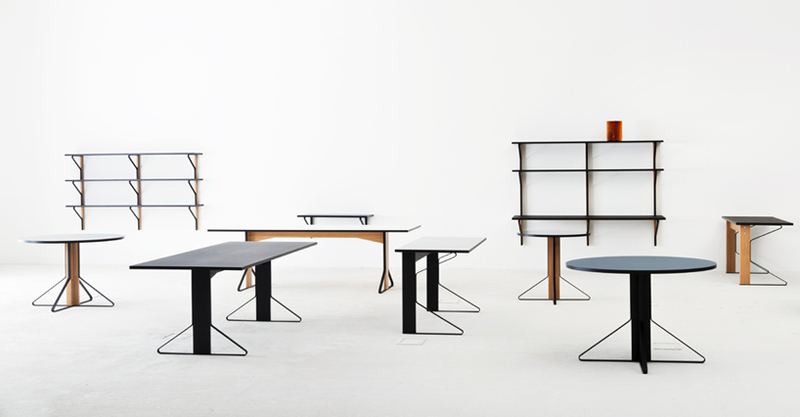 the ‘kaari’ collection is comprised of rectangular and round tables in two sizes each, in addition to a desk, a wall console, small round shelf and larger wall-mounted shelving. 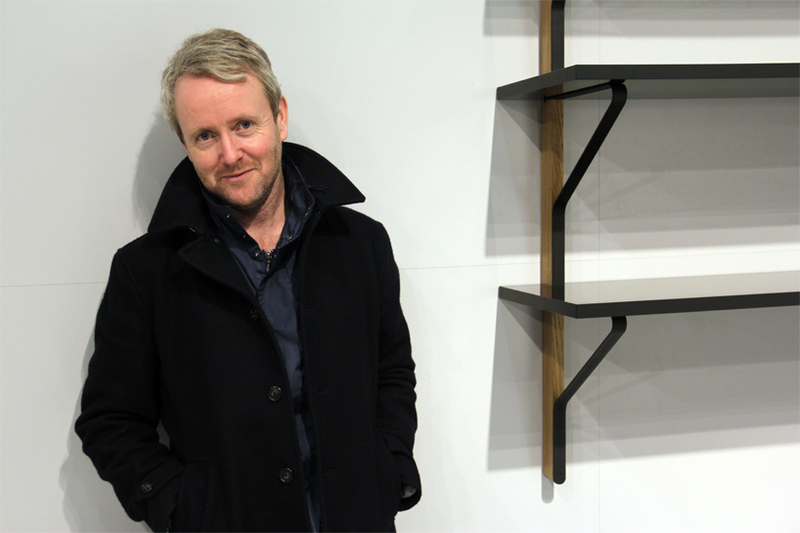 UPDATE: following its presentation at the 2015 stockholm furniture fair, the ‘kaari’ collection was presented at the 2015 salone del mobile and imm cologne 2016.